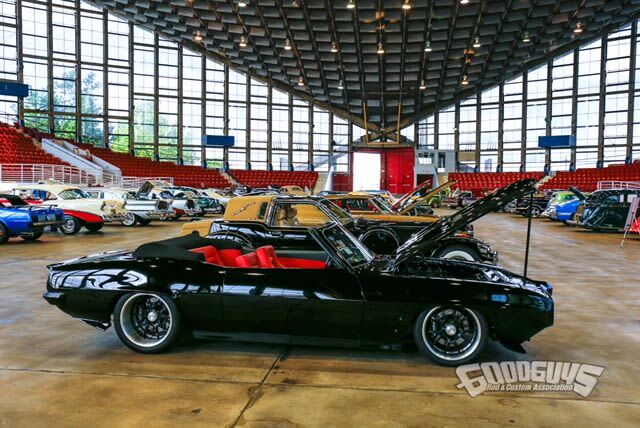 Goodguys returns to the Carolinas for another exciting weekend of nostalgic hot roddin' fun! Grab your family and all your friends and head on out to the Goodguys 5th N.C. Nationals automotive festival at the North Carolina State Fairgrounds in Raleigh, April 26-28, to explore over 1,500 candy-colored and chrome-plated 1972 and older rods hot rods, customs, muscle cars, tricked out trucks and classics on display! Make sure to grab a seat in the stands or put your vehicle and driving skills to the test and experience the pavement-pounding Goodguys AutoCross timed racing competition! And don't miss your opportunity to shop over 100 vendor exhibits, a huge Swap Meet and the AutoTrader Classics Car Corral as well as enjoy Live Music, a free Kids Zone, model car show and the not-to-be-missed Saturday Night Demolition Derby! For complete details and to register your vehicle or purchase tickets, visit website. Goodguys... Cool Cars, Cool People, Good Times!